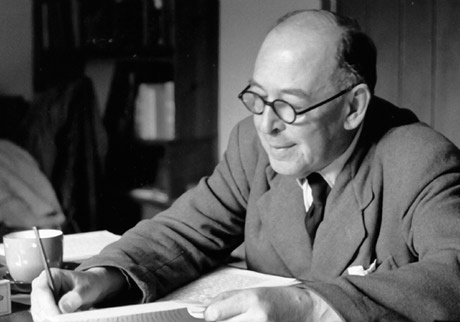 As well as being the feast of Christ the King and St. Cecilia’s day, 22nd November is also the day CS Lewis died in 1963. I remember the great celebration of his life work and witness we had throughout 2013 and especially the honour and pleasure I had in Lecturing on him at St. Margaret’s Westminster and attending the ceremony whereby his memorial stone was installed in Poet’s corner. an event that would not have taken place without the hard work and forsight of Michael Ward amongst others. I wrote a sonnet for Lewis as part of that year of celebration., and so on the Anniversary of his death I am posting it again here. It has now been published in my volume of poems The Singing Bowl, with Canterbury Press. It is truly beautiful! May I reblog it? Zum Jahrestag von C.S. Lewis’ Tod hat Malcolm Guite ein Sonett zu seinem Gedächtnis geschrieben. Es ist wirklich lesenswert! 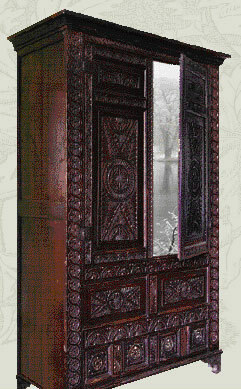 thank you, Malcolm, reblogged on https://briarcroft.wordpress.com/2017/11/22/keeper-of-the-door/ along with my own poem about the wardrobe at the Wade Center. You have said it so beautifully in your sonnet! We surely praise your verse–we’re fixed upon it. We pray the Lord your quatrains never cease. Until God’s holy angels us surround. For too much yeast can ruin th’entire batch. But true genius knows not envy, casts out fear! There’s but one poet in England who’s your match. So I’ve used mine to pluck you both first plums. Please can you change my email address on your list. Thanks. Lovely. I passed it on to the Central Texas C. S. Lewis Society (again this year! ).